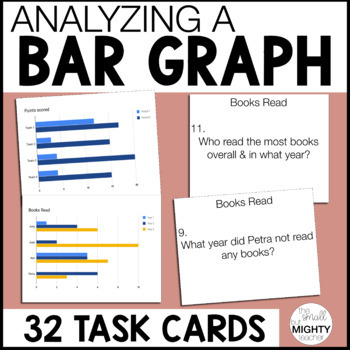 This printable includes 32 total task cards that relate to reading and interpreting BAR graphs. There are 4 graphs (all are bar graphs). Each graph has 8 questions that relate to it, and task cards are clearly labeled for what graph they go to. 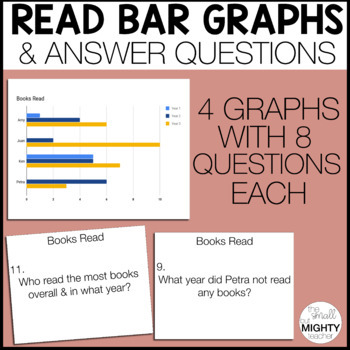 This is great for students to practice reading graphs and answering questions about them.